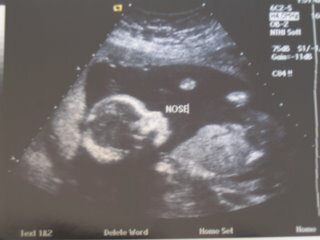 A Life Unfolding: Our baby! We had our ultrasound appointment today for the halfway mark. It was seriously the coolest thing we have ever experienced. Seeing that baby was amazing. We got to literally see every organ, each hand and foot. The heart beating, the brain. It was awesome. We attached some pictures for you all to see. The first one is a profile shot and the second is a picture of the spine which is really neat. 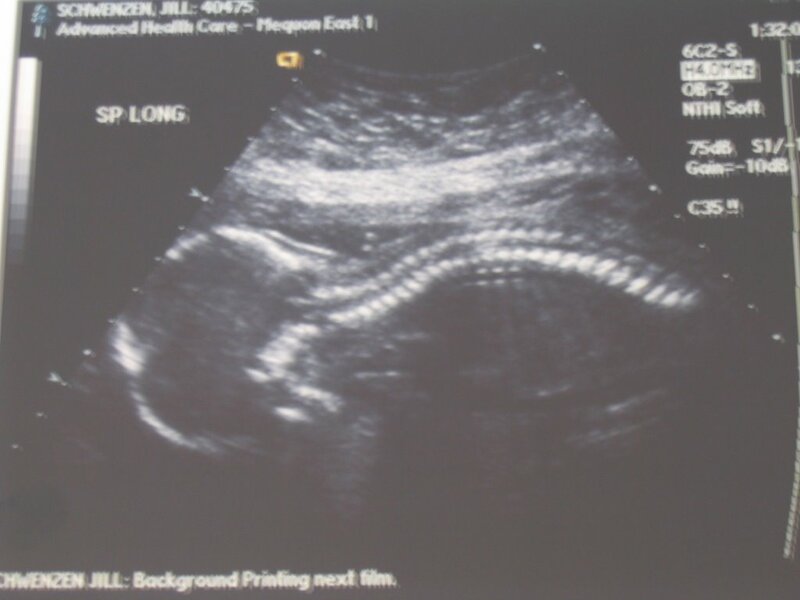 The baby helped us out, when we told the tech that we didn't want to know if it was a boy or a girl she told us that was a good thing because there was no way that she could have told us, those legs were closed up tight! The tech said that everything is measuring exactly perfect, everything that needs to be there is there and the baby looks just like it should. It is just an amazing relief hearing that. congrats! i'm so excited! i'm glad you got to see the brain too. that is by far the coolest part. for me and my immature self at least. "she told us that was a good thing because there was no way that she could have told us, those legs were closed up tight!" You guys. That is so awesome. I just wish we were closer so we could be a part of this with you! We miss you.